There isn’t any major magazine we can think of that doesn’t have an iPad app – from the British Journal of Photography to The New Yorker – they’ve all got a presence on the iPad. But the latest magazine to hit the iTunes app store isn’t from a traditional publication. Instead, it comes courtesy of online retailer, Zappos. While Zappos already has a mobile app for iOS, it has announced the launch of a new magazine app that brings their products to iPad users in the form of an editorial magazine. 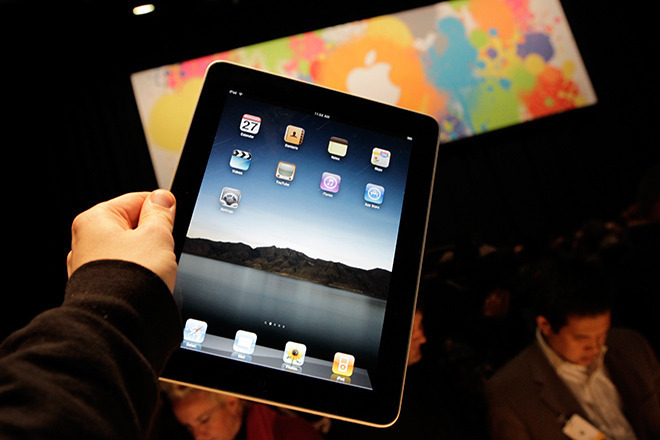 Zappos may be on to something – combining the great magazine option that the iPad affords publishers with its accessibility for online purchasing. While print fashion magazines can often entice you to buy things as your leafing through the pages, you don’t have the immediacy of being able to simply click a button and make your purchase right there on the spot. 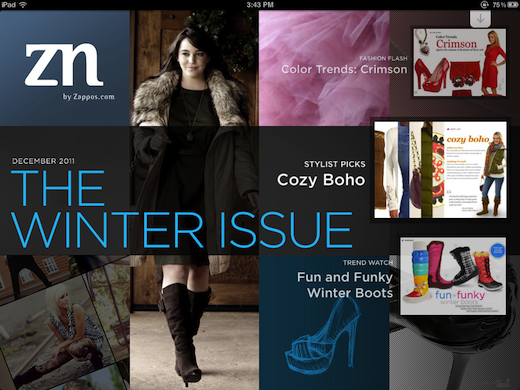 Zappos ZN is a digital magazine that explores the exciting and ever-evolving world of style. It is all about sharing the hottest fashion trends we’re seeing out there and tips on how to make them work with your own personal style. Zappos ZN is a monthly magazine filled with editorial content on the latest fashion trends coming from the Zappos. You can find out a little bit more about each item and get tips on what to wear with them. Zappos ZN isn’t just about selling products – it also includes articles with fashion and make up tips, travel articles, gift guides and interviews with designers and other fashion industry experts. What’s really cool about using the app, rather than going on to the Zappos website to make your purchases, is that you get free next business day shipping, without a minimum purchase required. Not only can you use Zappos ZN to browse and purchase some pretty cool threads, you can also share your favourite styles via Facebook, Twitter, or email. Having launched just a few days ago, we already know that users spend an average of 40 minutes reading the magazine. What do you think of Zappos ZN? Let us know in the comments.